You will earn 30 WayPoints for each product that you purchase. 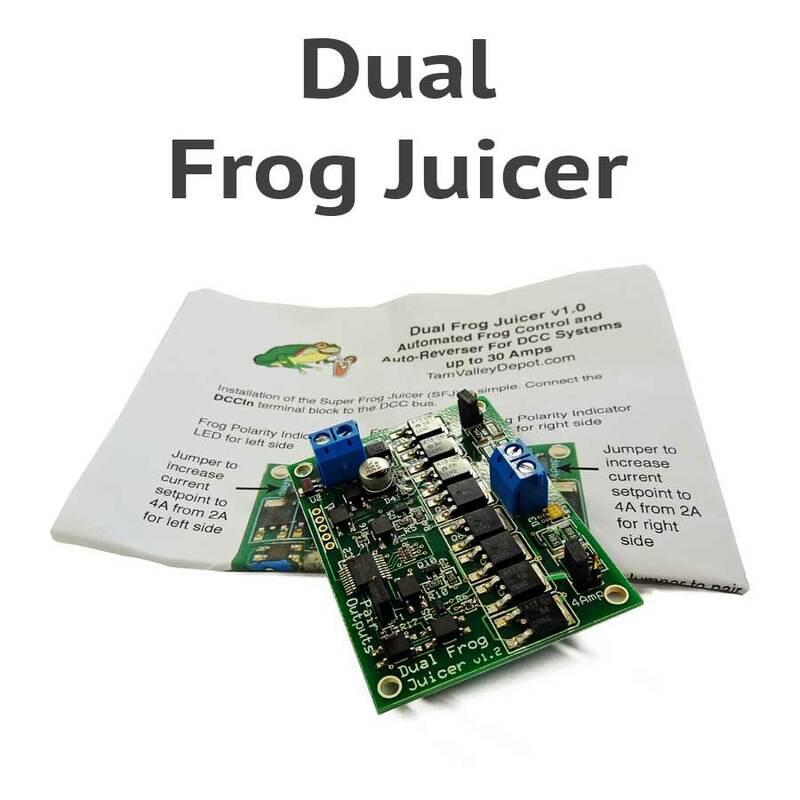 The Universal Dual Frog Juicer automatically and instantly switches the polarity of the frog as the engine passes over any DCC powered turnout. No more complicated wiring or electro-mechanical switches are needed. Instead you simply connect power to the Frog Juicer and a single wire to the frog. The Frog Juicer takes care of the rest! The New Universal Dual Frog Juicer works with all DCC systems, including NCE PowerCab! 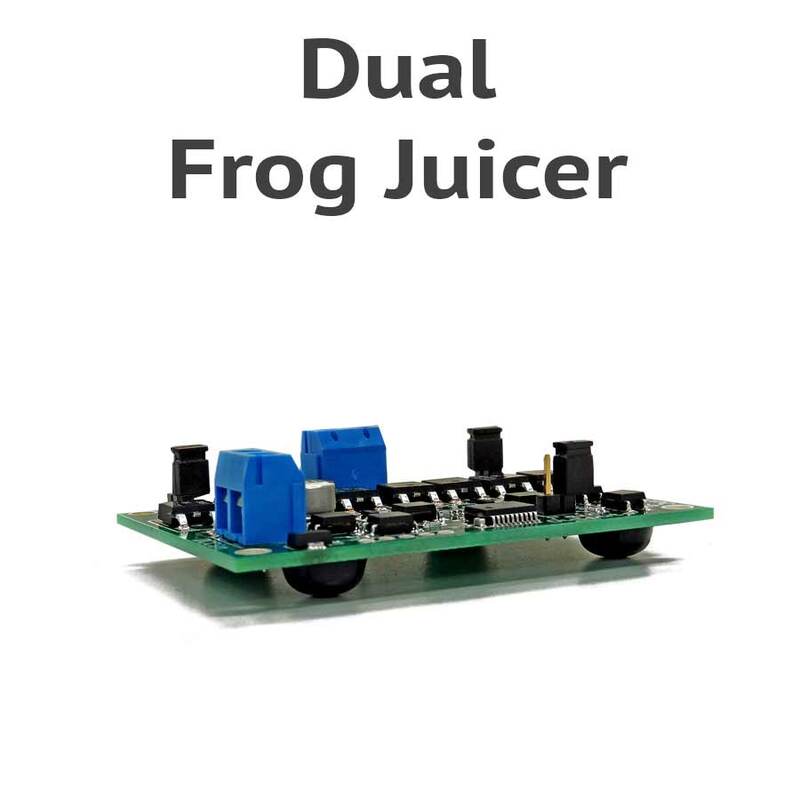 Each Dual Frog Juicer can control the polarity of DCC power for two frogs, a reversing loop, a turntable, a wye, or a crossing. It can also be used as a circuit breaker to control a power district (with the bonus it will reverse polarity if needed). It uses the same basic design as the hex frog juicer but has 33 Amp transistors so it can be used with multi-unit lashups and 10 Amp boosters. Setup is simple, connect the input to the DCC track bus, and connect the output wires either to two frogs or two rails. 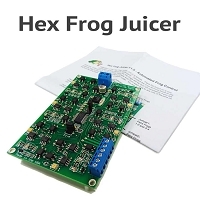 If you have ever struggled with wiring up the frogs on a switch, then you will want to seriously consider using the Hex Frog Juicer. It is simple to use, and just plain works. 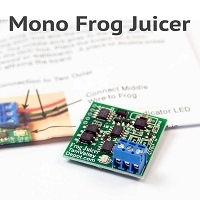 The Frog Juicer consists of two microprocessor controlled SPDT electronic switches. Each switch can sense and control the polarity of one frog. A jumper controls whether the two outputs act as a pair (i.e. an auto-reverser) or independently (i.e. a pair of frog juicers). Another pair of jumpers controls the current set point for switching, either 2 Amps or 4 Amps. When used for frogs or crossings generally 2 Amps work best and for an auto-reversing application, 4 Amps generally works best. The frogs need to be electrically isolated and have no other connections to the track or DCC system. This makes running through reversing loops and turning locomotives on turntables absolutely invisible, electronically. FAR superior to the comparable Digitrax product ! 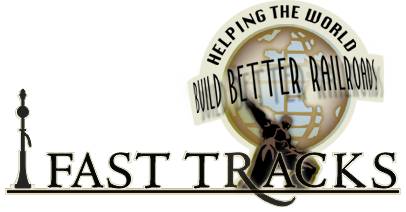 Great product, works great with no delay. I run HOn3 and with their short wheelbase, they run perfect through turnouts. The product arrived on time to quoted schedule. It was easy to install and works well. They took just minutes to install and worked as described. I will be getting more in the future. These saved a lot of headaches at the powered frogs.